Mountain Line is doing more than celebrating Earth Day this month. It’s also toasting its latest numbers, with March seeing more riders than at any other point in the agency’s 40-year history. Andrea Davis, chair of the Missoula Urban Transportation District, said Wednesday that 128,385 riders hopped on the bus in March, setting a new one-month record. The numbers are equivalent to roughly four sold-out University of Montana football games at Washington Grizzly Stadium. The latest figures continue the agency’s upward trend in ridership. Mountain Line set records in January and February as well. In fact, Davis said, it has seen 15 straight months of growth. In the first three months of this year, it has ferried nearly 370,000 passengers around the city. 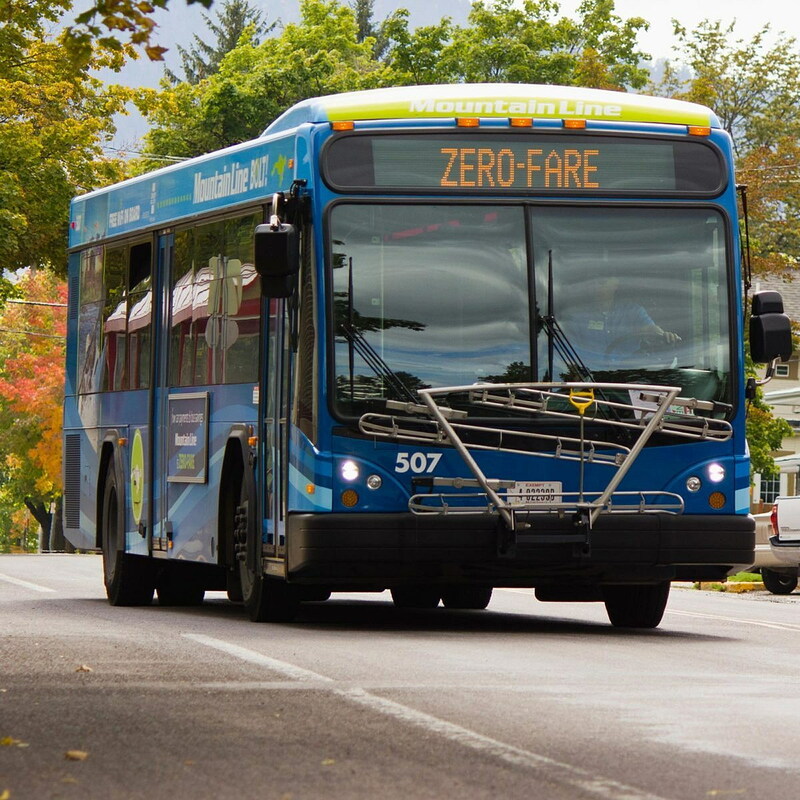 When Mountain Line launched its zero fare service in early 2015, it sought to grow its ridership 45 percent by the end of three years. But just one year into the demonstration project, it has nearly achieved its goal with a 40-percent boost in ridership. The free services was made possible by 14 community partners who covered Mountain Line’s $460,000 annual fare revenue. The fare amounted to roughly 7 percent of the agency’s budget. Bill Pfeiffer, Mountain Line’s community outreach coordinator, said the agency broke the 1-million rider mark in 2015 by offering 1.2 million rides. Given that 80 percent of commuters still drive cars to work, it accounts for nearly 1 million fewer vehicles on the road, he said.